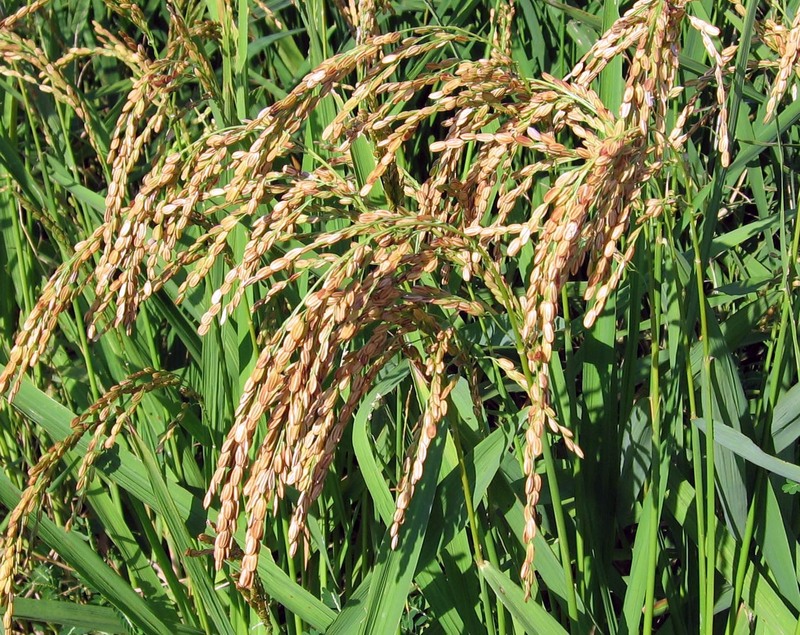 Growing instructions: Rice needs nitrogen-rich soil. 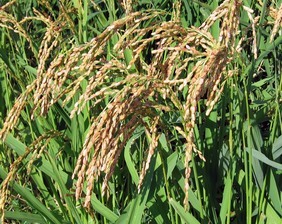 Rice does not need to be flooded - flooding is traditionally used for weed control - but plants will need an inch of rain or irrigation per week. Direct seed or transplant healthy seedlings, 6 in. 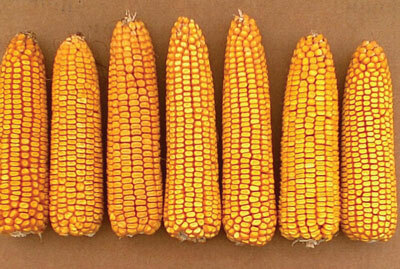 apart in rows 9-12 in. apart. Keep well-weeded - don’t let grass weeds become mixed up in your rice! Harvest: Finches and other birds love rice, so use bird netting to protect the mature seedheads. Harvest when seeds are brown, gently pulling mature seeds off the stalks, harvesting several times over a period of a few days. For eating, rice needs to be dehulled, which requires specialized machinery, such as Grain Maker’s Homestead Huller.